Labor cost depends on the construction project what type of construction you are going to construct. There are many types of construction simple masonry work concrete work frame structure with columns and other more. How much Bricks Do needs to build 10 marla house construction cost ? Approximately 85,000 bricks need to build 10 marla house from foundation till completion of the gray structure. ( if plot depth is 3 feet below from road level) although bricks sizes are different but it does not make much difference of the quantity all you have to check is just the quality of brick it should be 1st class brick there are three type of bricks 1st ( awal) 2nd is (doum) 3rd is ( khingar ) khingar is best for the foundation and khingar must in install in foundation till D.P.C. Khingar rate is 10 per brick if you are going to laying khingar on your foundation ask it from your thekdar or foremen how much do need it approx. 20,000 brick required in the foundation. How much Cement bags (50/kg) do you need for the 10 marla house construction cost ? How much gravel do need for the 10 marla house construction cost ? How much sand do you need for the 10 marla house construction cost ? Approximately you will need 9 trucks for the completion of the house till gray structure from foundation till P.C.C of the house each truck should have 700/sqft sand. How much rebar (steel) for the 10 Marla house constructions cost ? It depends of the house structure what type of slab if house slab is R.C.C then you will need 5500/kg steel approx. for the slabs and windows beams and all other misc. work if the house slab is R.B then you will need 2500/kg Approx. Does per square foot cost and estimates given in comments includes uncovered area and boundary wall? Salam my coverd area is around 1530 just ground floor.ansd 550 is open area link boundery wall and lawn galleries what would be cost of gray structure. please estimate how much it costs to build a 3450sqft double storey house on 35*70 plot size, having A category construction in Islamabad. Hi, sir how are. sir i have covered area for 10 Marla double story around 2900 sq ft.can you please provide cost estimation till grey structure including foundation cost. Note: plot is 3.5 feet below road level. here also a question related to foundation, what would be height of foundation if plot is 3.5 feet below road level?? Thanks in advance. As i have seen 1100 per sq/ft cost is mention in the thread. do it include cost for foundation?? salam hope you are doing fine. I am fine sir. Thank you for your reply. My plot is located in Bismillah housing scheme GT Road Lahore. My house drawing is in progress. Once it’s get completed, i will share with you for sure to get more information from you. Your site is very useful appreciate that. 1) In 10 Marla Plot, C Block Bahria Town Lahore how many sq foot you can construct. since they have some limitation. 2) what will be the cost of grey for 10 Marla two story. Could you plan tell me construction cost of 10 marla 32×65 plot size covered area is 1600 two bed rooms tv lounge drawing kitchen ? can u plzz tell the cost of single story 10 marla house ? If total cost for gray structure is 35 lac then for 8 marla will be 28 lac right. 10 Marla house 35 lack cost till me how many bed rooms etc are there? but it is the only cost for grey structure.. whats about the renovation of the full double story house.. I want to construction my 5 Marla house at park view villas. 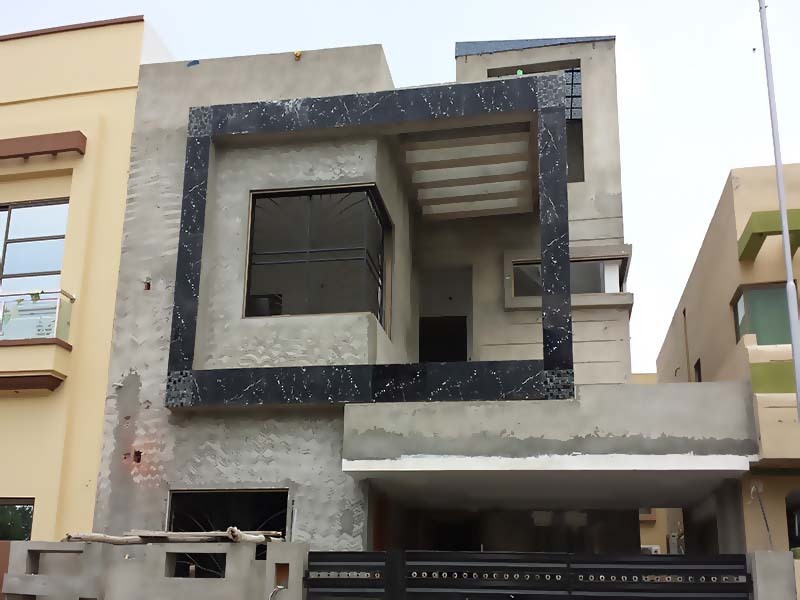 Is this the rate of double storey 10 marla house 35 lac without finishing or for single storey ? Is this estimated cost for single story or double? What will be estimated cost if the basement hall wants to construct along double story?